Our shelter provides a wonderful volunteer opportunity for groups of all ages and sizes – youth groups, church groups, college organizations, businesses, Girl Scouts, out-of-state groups, and many others. Contact our volunteer manager at volunteer@furkids.org to explore ways your group can volunteer. Group volunteering at Furkids is a fun time for all! Samantha Shelton (Furkids President & CEO), center, at the main shelter with a group from Youthworks. 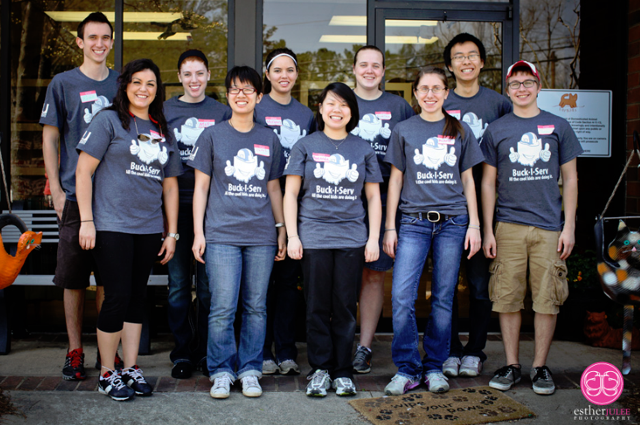 Students from Ohio State University’s Buck-I-Serve program spent their Spring Break volunteering at Furkids. Best Spring Break ever! 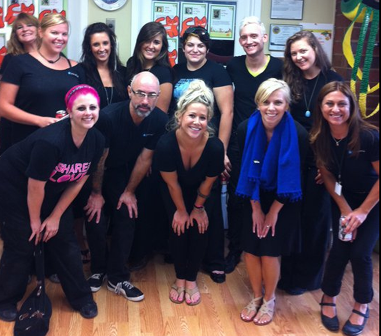 The staff from AVEDA stopped by to socialize with all the kitties! What a great group! 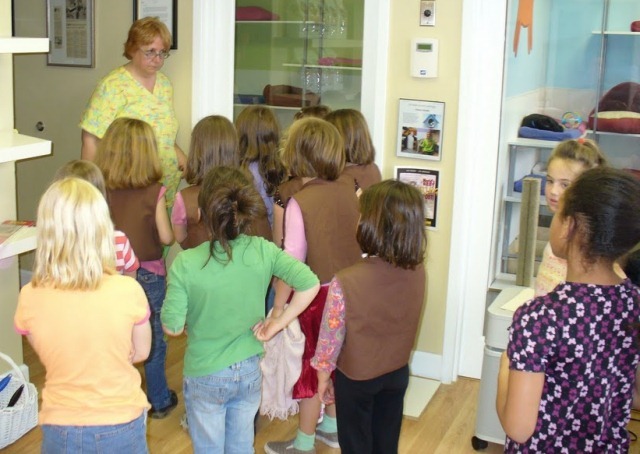 Furkids staff member, Carol Purdy, leads a brownie troop into the shelter to begin their volunteer day. 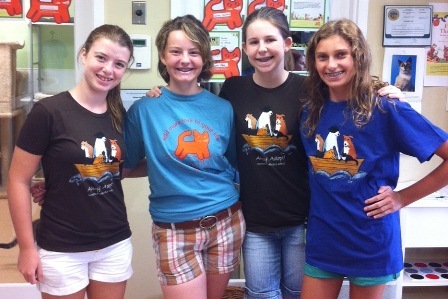 Girl Scouts from a local troop treat themselves to Furkids t-shirts after a fun day of volunteering at the shelter.